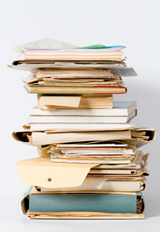 The slush pile is the life blood of publishing but it presents a paradox. Because of the sheer volume of submissions there’s simply not enough time in the working day for readers to provide free assessments so rejections tend to be a polite but brief couple of lines to say, in effect, thanks but no thanks. This is wasteful for the industry and disappointing for aspiring writers. It remains to be seen if those would-be authors can overcome their short comings by themselves. There are a lot of people writing and submitting their work, but only a few make it to publication. And that is often down to sheer tenacity and self-belief as much as it is to their innate talent. Most of us need a bit of help to become a literary genius. Unlike some editorial services who have links with literary agents, we do not charge to place your work with an agent. Agents are constantly looking for new talent - that is their business. Whilst good work sometimes gets overlooked, if you have written a great manuscript, your work is strong and distinctive and you present it well to the right agents, you have every reason to believe that it will be picked up. We will help you develop your manuscript, write a compelling synopsis and covering letter and advise you on which agents to approach.